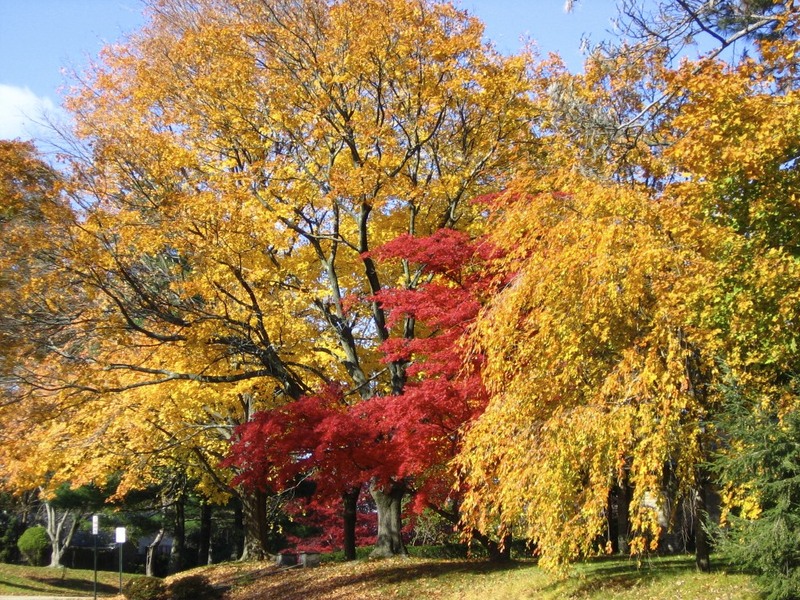 Eastern North America is one of the few regions of the world with specular fall foliage. The British Isles, parts of northwestern Europe; northeastern China and northern Japan are the other regions. Forests in other areas dominated by evergreens (conifers) or are tropical. This beautiful fall foliage is yet another reason to plant native oaks, maples, beeches, and other color changing native trees and shrubs. These are the plants that will keep fall color changes going for a long time to come. Here are two In Season posts that be of use to you. One of the best parts about living in the NE with a colder fall and snowy winter!